This versatile bag fits into any situation formal or casual. 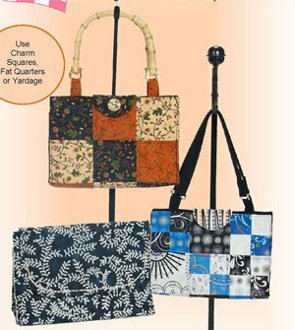 Use Charm Squares, Fat Quarters or yardage. Firm sides, base, and a unique divided interior bump up your stylish statement.